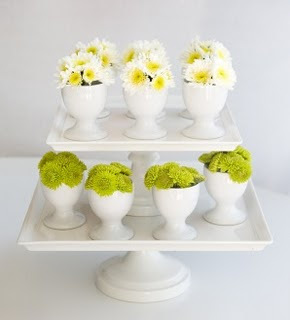 These cute egg cup flowers reminded me how much I love egg cups. Of course, not for their intended purpose of holding soft boiled eggs. But there are a ton of cute uses for them as holiday decorations and centerpieces. 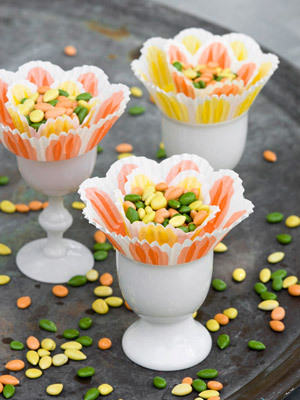 BHG used cupcake liners to create paper flowers that they filled with treats (chocolate covered sunflower seeds). And Good Housekeeping used pattern paper and dyed eggs to make their flowers. (You can get the stencil for these flowers HERE. 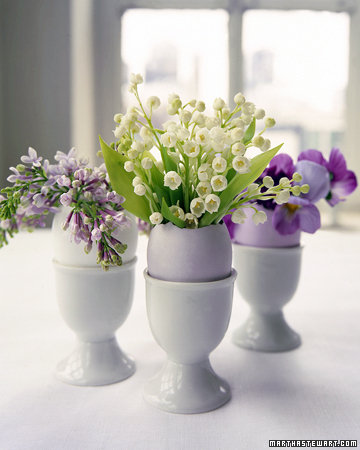 Skip the paper and use real flowers to create an egg cup centerpiece. 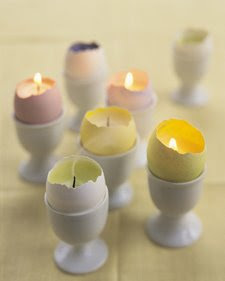 Use empty egg shells to create Easter Egg Cup Votives. 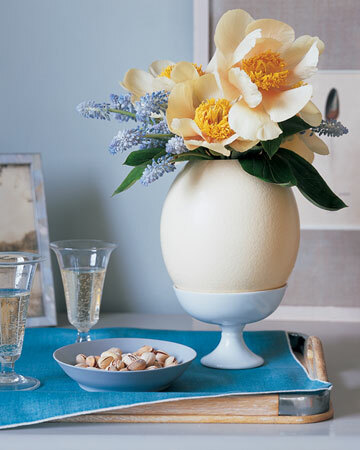 Combine the flowers and the egg shells to create these egg shell vases. So if you don't have a set of egg cups, keep your eyes open for some because you can use them for more than just Easter. SO cute! Except I'd never want to eat the contents, it's WAY to pretty to destroy!! 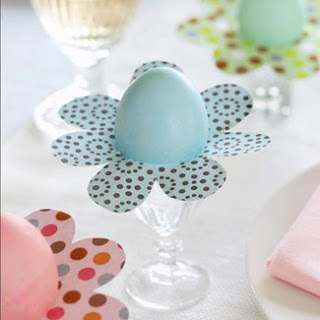 I need to buy about 50 Easter egg cups because I love all of these ideas. Of course that wouldn't leave me enough spending cash for our Kentucky trip, so I'll hold off. I don't have time to make these - I need to pack for KY.